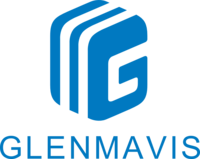 Through this website there are links to other websites which are not under the control of Glenmavis. We have no control over the nature, content and availability of those sites. The inclusion of any links does not necessarily imply a recommendation or endorse the views expressed within them. Glenmavis do not collect any personal information from visitors to our web site. Glenmavis does log web site request which may be used to generate aggregate statistics on the usage of our web site. You may opt in/out of these tracking cookies at any time by changing your privacy settings.